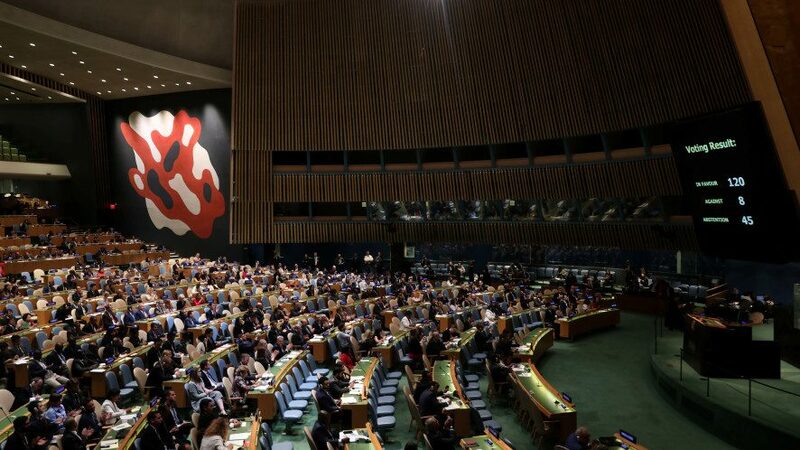 According to some, antisemitism on a global scale can be observed the best at the General Assembly of the United Nations. Many Senior diplomats of countries are active participants at the U.N. A widely accepted definition and practice of such antisemitic actions, which includes the targeting of Israel, was agreed upon by the IHRA (International Holocaust Remembrance Alliance). No Comments on "DIPLOMATS AT THE U.N. COMMIT ANTISEMITIC ACTS"